Times have changed and more and more women of many races have been making the choice to rock their natural hair texture, whether it be wavy, curly or coily. Seeing so many confident women being proud of their natural texture can be very inspiring and motivating. 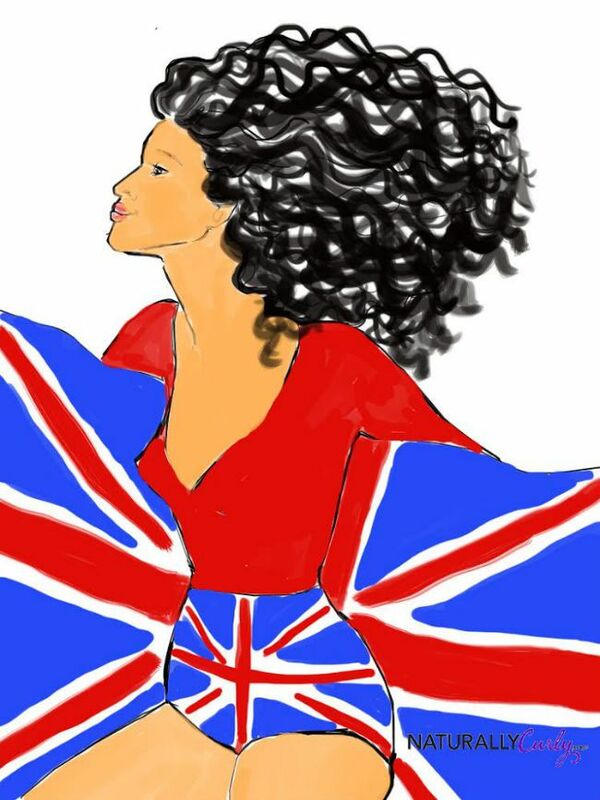 But here’s the problem, not all countries provide an abundant supply of natural hair brands and products that are essential for healthy natural locks. It can be very frustrating to have all the motivation in the world but none of the resources you need to begin your hair journey. If this is you, do not be discouraged! Stay strong because there is still hope. If you find yourself in this situation here are a few steps you can take to start your healthy hair journey. In order to find products that will help define your hair texture you need to learn the good ingredients and the bad. It’s all about the ingredients, so you need to become a pro at checking ingredients so that you can find natural healthy products wherever you go. To make this as simple as possible, beware of the two S’s: Sulfates and silicones. Sulfates are drying detergents that are used in shampoos and dishwasher soap (yikes!). Sulfates are so harsh that they strip your scalp of its sebum, a natural oil our body produces to lubricate itself. Removing your sebum with a harsh cleanser on a frequent basis can lead to complications with frizz, breakage and scalp issues. As a rule of thumb, if the ingredient ends in the word “sulfate” avoid it. The most common are Sodium Lauryl Sulfate and Ammonium Lauryl Sulfate. Now silicones. For the most part silicones are not water soluble and can only be removed with a sulfate filled cleanser. So if you stop using sulfates and your products contain silicones the silicones will build up on your hair and cause frizz complications. As a rule of thumb, if the word ends in –cone, -conol, -xane, -col, avoid it! The most common are cyclopentasiloxane and dimethicone. Now that you know the bad ingredients, save a date on your calendar and commit it to Holy Grail shopping. What does this mean? It means saving a day to check every single product possible in every single store near you. I know, it sounds kind of weird and obsessive-compulsive but hey, it won’t hurt to try. Who knows, maybe the perfect product is hiding on the bottom shelf of that product aisle and you never bothered checking the ingredients. Check every single bottle of product that interests you, and if they all contain junk then go to another store and repeat the ingredient checking spree and so on and so forth until you have checked all the products you can possibly check. If your product hunting failed, do not worry, there are still a few options. DIY’s! Experiment with your own natural concoctions at home. Take advantage of the unique resources around you-- if your country has abundant clay powders try making clay shampoo by diluting the clay in an empty bottle with water. Baking soda mixed with warm water makes a decent shampoo as well. And don’t take fruits and vegetables for granted, avocados and bananas make great natural hair conditioners. And never forget oils! Oils provide the benefits of a styling product, except they’re natural and nourishing to both your hair and scalp. You can also do some deep google research on creative DIY’s or even buy a book on natural hair recipes. This tip kind of falls under the DIY section but it deserves its own section because of its uniqueness. The no-poo method is an infamous method in which absolutely no commercial products are used; baking soda and apple cider vinegar are used to replace your shampoo and conditioner, respectively. Usually, one teaspoon to one tablespoon of baking soda is mixed into 1-2 cups of warm water and it is poured over the head in the shower and then massaged into the scalp. After the massage it is then rinsed out and followed by an apple cider vinegar rinse, in which a couple of tablespoons of ACV are diluted by 1-2 cups of water. The baking soda opens the hair cuticle and allows all the gunk to be rinsed off of the hair and the apple cider vinegar closes the hair cuticle giving the hair tremendous shine and frizz control. You can also google the method and you will see a lot of in depth articles and tutorials on how to use this method. If all else fails, order online. Shipping can be expensive but once you find your staple products on a good site you’ll be good to go. Lots of ladies order products from ebay and Amazon, but beware, sometimes you can get scammed by the seller. But lucky for you, we have an online shop that ships to over 240 countries. 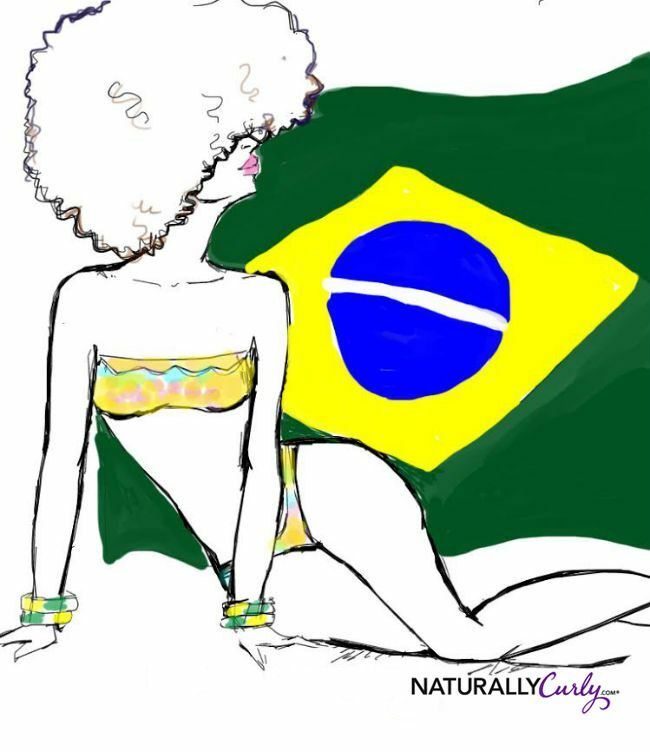 Shop.NaturallyCurly.com has an abundant and satisfying supply of products guaranteed to make you and your curls happy!